This entry was posted in 10th Anniversary, Press Release and tagged Business, Cross-cultural communication, cross-cultural skills, Cultural Detective, customer service, diversity and inclusion, Emerging markets, global business, global nomad, intercultural competence, international customer service, international education, international market, multicultural society, study abroad, workforce performance by Dianne Hofner Saphiere. Bookmark the permalink. Hello Shalini! Can you believe we live in the same city but have to watch you on the CD blog! 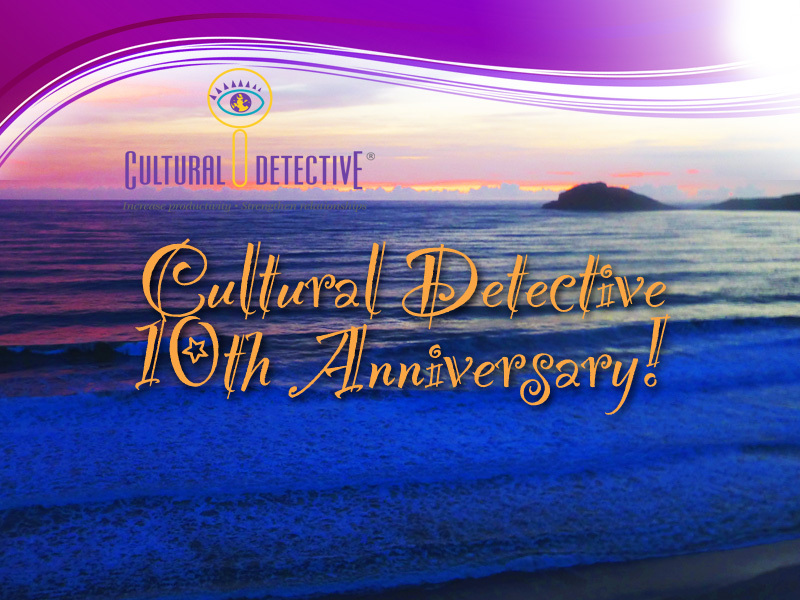 Happy anniversary to the Cultural Detective and, once again, thank you Dianne! Thank you, Guillaume! We look forward to receiving your video 😉 ! 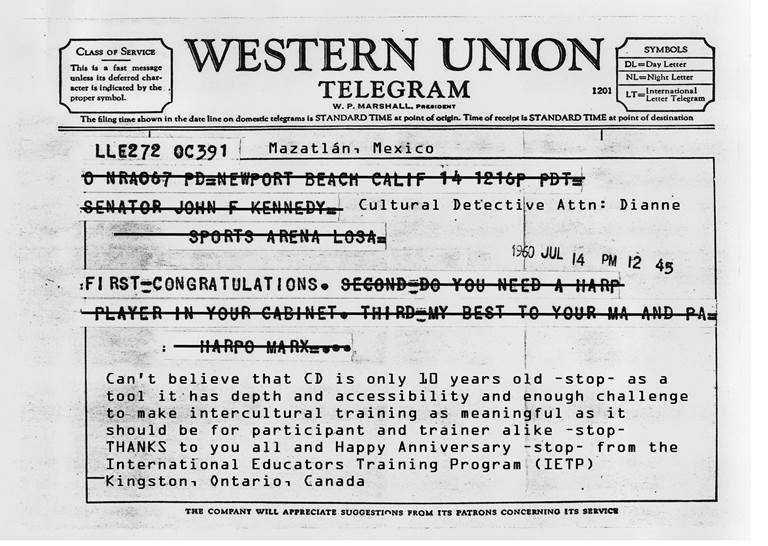 Dear Diane and all the fabulous people at Cultural Detective. I want to specifically mention Taruni Falconer and Karen Huchendorf for introducing me to the resource. Keep it up; Intercultural work is becoming more and more important. Up to the next milestone. It is wonderful to hear from you, Caroline! Yes, Taruni, Karen, and the whole team, as well as our extended community, rock! I am happy to hear that you see the importance of intercultural work becoming more widely recognized, and that over the years you’ve found this toolset helpful. Thank you for the well wishes! Congratulations on the multiple anniversaries! Neither having the skill nor the equipment for a video message, I do want to emphasize what a major contributor you have been to the world of intercultural training. Meeting you when you first started out and watching your fantastic growth has been a joy for me. Hard work, great energy, and a brilliant mind have equaled success. You are a superb wonder woman (cross that out) wonder person. You certainly deserve the success that you have achieved and I add my congratulations. Oh, David, your mentorship, friendship, wisdom and humor have been a godsend over the decades! Thank you for this greeting; it is much appreciated, as are YOU.